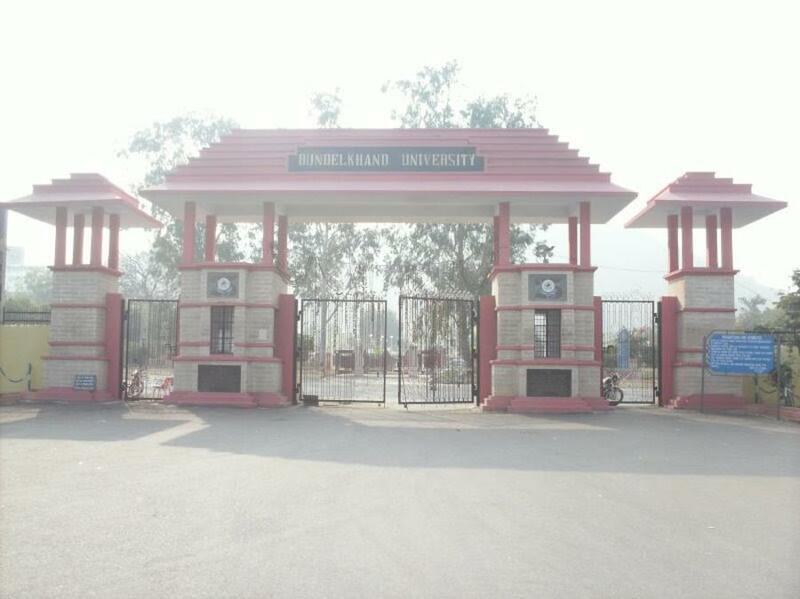 Bundelkhand University is located in the town of Jhansi, in Uttar Pradesh in India. The university came into existence on August 26, 1975 and therefore, essentially belongs to the younger generation of the Indian Universities. the University remained as an exclusively affiliating entity, merely acting as a Degree Awarding Institution for the students pursuing various undergraduate and Post Graduate degree courses in its affiliated colleges. It achieved the status of a Residential University initially in the year 1986 when Department of Business Administration, Department of Rural Economics & Cooperation, Department of Mathematics and Statistics and, Department of Library & Information Science became functional on its Main Campus, each offering an academic program not offered by any of the affiliated colleges of the University. Thus, Bundelkhand University actually assumed the position of academic leader and innovator. However, owing to resource constraints and other limitations, it could not progress at desired pace, so much so, that Department of Tourism & Hotel Management, Department of Geology and, Department of Food Technology, sanctioned by the state government in the year 1996 and the building work completed in the subsequent year, it took them another three years to become functional. In fact, the progress of the University remained in a rather stagnated phase till the year 1998 with merely 8 teaching faculty and 102 students on the Campus. To promote interdisciplinary, interactive teaching, research and international collaboration, the Executive Council of Bundelkhand University has established 34 Institutes of Studies. * Institute of Vocational Studies Dr. K.R. Bundelkhand University, Jhansi has 117 affiliated Colleges. Click here to explore them. Are you Interested in studying at Bundelkhand University, Jhansi?